David De Gea wants to nearly double his salary to £350,000 if he is to remain at Manchester United. According to the Sun, the Spain international has seen colossal wages given to stars Paul Pogba and Alexis Sanchez and wants to be fairly remunerated for his services. De Gea’s stock in the game is high after another impressive season for Jose Mourinho’s side, with his stunning save in Sevilla in midweek underlining his importance to the Premier League outfit. De Gea currently earns £200,000 a week, significantly less than January arrival Sanchez — who is paid £350,000 a week — and Paul Pogba (£290,000). Real Madrid are expected to firm up their long-standing interest in the Spaniard again this summer as they look to freshen up their squad following a below-par campaign to date. 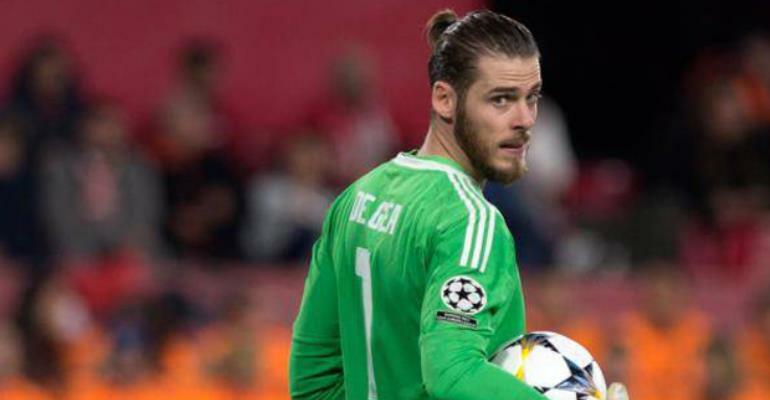 United came within minutes of losing the goalkeeper to Madrid two-and-a-half years ago after a £35million deal was agreed, only for a faulty fax machine to prevent the move from going through on time. But after a string of world class performances since that botched deal, United are reportedly ready to offer the goalkeeper an improvement on his existing contract.